A Low Cost Tablet Alternative: Enter the Chromebook! There is a growing number of software vendors who consider the capabilities of every new offering they bring to market and attempt to incorporate them fully into their ecosystems. Cross-platform ecosystems – like Apple's iOS and Google's Android OS – are solid examples of this kind of capability. These benefits run deep too. Apple's iMessage service, for example, keeps text-based conversations flowing naturally whenever a user switches from their handset (iPhone) to their tablet (iPad) or their computer (Macintosh). Real-time data streams are shared between all the Apple devices to keep them in sync and maintain a consistent user experience for those message threads. Moreover, this sort of functionality drives loyalty to the top-level brand (in this case Apple) and binds users into a particular ecosystem. Google has now taken this concept an exciting step further. Until recently, Google’s Android OS and ChromeOS, Google’s operating system that was designed for and runs on low cost Chromebooks, were entirely separate entities. Basically, Android was for phones and tablets (much like iOS) and ChromeOS was simply for Chromebooks. Period. If you are unfamiliar with what Chromebooks are exactly, they are essentially "Internet machines", meaning they are low-cost laptops that is designed entirely around the Chrome browser. 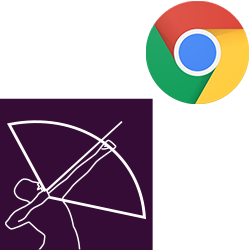 And just like opening the Chrome web browser on a traditional Mac or Windows computer, Chromebook users can navigate the web with multiple tabs, save bookmarks, and even install extensions like Google Docs so you can edit Word documents, or access GoToMeeting to join scheduled web meetings straight from their browser window. Best of all, that Chrome browser is wrapped up in a neat little package and delivered on a Chromebook that’s typically lower in cost than any modern smartphone or tablet. Recently, the OnPoint team got a taste of what Google can do with their ever-expanding mobile ecosystem. Over the past year, Google's ChromeOS team has successfully introduced Android's popular app market – the Google Play Store with its 2.5 million apps – to work natively on low cost Chromebook devices allowing Chromebooks to run the same Android apps that power popular Samsung Galaxy devices, Google Pixels, and hundreds of other smartphones and tablets. And because many Chromebooks are equipped with a tablet-like multi-touch screen, any Android app you install on your Chromebook will work just like an Android tablet. The only difference being that given Chromebook's form factor, you've got yourself a built-in keyboard and touchpad in addition to touch controls. So naturally, our team had an excuse to buy a new Chromebook (or two) to test out OnPoint’s CellCast App for Android. And we are proud to say that without any modifications, updates, or workarounds, our native CellCast app on ChromeOS runs without a hitch inclusive of all standard features and custom user experiences. Good stuff! In recent years, a growing number of schools and universities have been adopting the Chromebooks as a lower cost alternative to traditional laptops as the cost savings compared to Apple MacBooks, Microsoft Windows Surface tablets and many other business-oriented devices can be considerable. And we’re now seeing a few commercial customers inquiring about using Chromebooks as well. 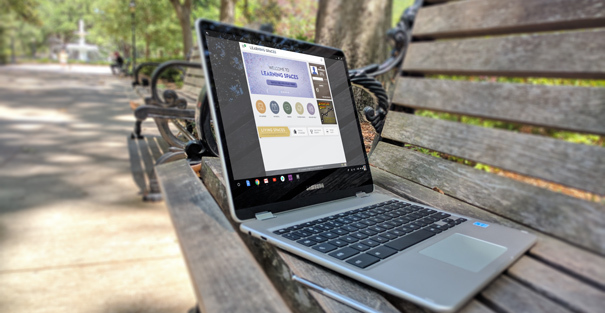 We’re excited in CellCast's ability to perform seamlessly on these new Chromebooks, and confident this support will further enable businesses to provide on-the-go solutions for training, performance support and business communications to their own learning ecosystems in an affordable and elegant way.